When vacationing in India, the land of spices, there are so many different things that one could see and do that the list could be seemingly endless. A country this big certainly has much to offer any person that chooses to visit here. India happens to boast thousands of kilometres of shoreline and some of the most beautiful beaches of any nation; beaches that serve as the primary attraction for millions of vacationers annually. But when you are not soaking up the sun on the beaches, or enjoying the luxury five star resorts that have been specially designed to accommodate foreigners, or shopping at one of the many bazaars, there are some historical places that you should really jot down on your list of things not to be missed when here. To better help you along the way, here are the top four. 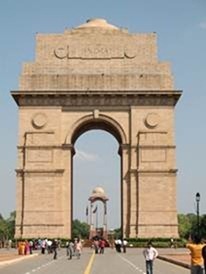 Located in Rajpath, New Delhi, India Gate is a prime attraction, and should also be at the top of your list. Also called the India War Memorial, this monument was created to honor the memory of the fallen soldiers – around 90,000 of them – who sacrificed their lives for world freedom during the First World War; it’s also a memorial to the second war in Afghanistan (1919). The gate, comprised almost entirely of sandstone, is approximately 42 meters in height and was first constructed in 1921 by the Duke of Connaught. It was officially dedicated to India by Viceroy, Lord Irwin in 1931. A popular recreational site, you will find a plethora of picnickers here during the warmer months, as people remember their history and freedom, the price of which can be seen in the thousands of names of the fallen that are inscribed on its sandy walls. 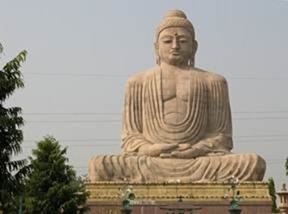 Bodhgaya is a spiritual haven for religious Buddhists and attracts hundreds of thousands of the devoted to its sacred monument each year. Located just outside of Niranjana, this site is considered to be one of the holiest of pilgrimage centers, as history purports that this site is where Buddha attained his enlightenment. The world famous Bodhi tree grows in a garden here; the tree under which Buddha sat as he attained his enlightenment; a genetic descendant of the original tree grows here, and is available for tourists to visit. The Mahabodh temple is a prime attraction, and offers a rich taste of religious history and the undying message of peace that Buddhism represents. Originally constructed in 1523 AD by famed architect Rao Karamsiji, should be on your list of must-see places when on vacation in India. 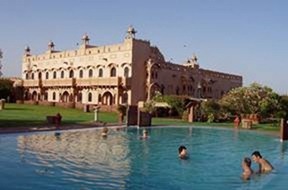 Situated on the Great Thar Desert, and still occupied by the 20th descendent, it’s more like a palace than it is a hotel. Khimsar Fort has been entirely preserved and features authentic ramparts, turrets and the scars of many historical battles. Ranked as the most desirable Royal Retreat that you can stay at while visiting, the hotel features 50 ultra luxurious rooms outfitted with all of the amenities, from hot and cold water, to air conditioning and even 24-hour room service. 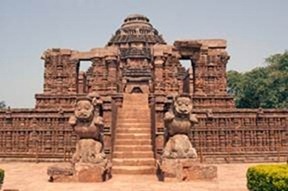 Positioned in Orissa just outside of the city of Puri, Konark Sun Temple is considered to be a “medieval masterpiece” that represents the rich architectural heritage of Indian culture from this time period. It’s estimated by historians that King Narashimhadev I had the temple built in AD 1238-64 to honor the Sun God and to appease him. Made mostly from intricately hand sculpted pieces and segments, the temple was constructed to represent the chariot of the Sun God, complete with 24 wheels (each one about 10 feet in diameter), and inclusive of elaborate details like the spokes. Two fearsome lions guard the temple’s entrance, there are seven horses pulling the chariot, and rearing elephants welcome visitors to the main steps that lead to this preserved temple in India. Good info and beautiful images. Thank you for sharing. some thing ever but think no any. INDIA KE PAAS SAB KUCH H AGER GOVT THODA SOCHE TOOOOOOOOOOOOOOOOOOOOO. These both caves are located near the city of Aurangabad in Maharashtra. In Ajanta there are 29 caves and in Ellora there are 34 caves and each caves shows different stories. And Ajanta has been designated as a World Heritage Site. Erica, great that you visited India. Do visit other parts of India next time if possible – places in South India too have a rich heritage. Some places of interest could be Mysore Palace (my all time favourite), Madurai Meenakshi Temple, Gol Gumbuz in Bijapur, Karnataka among others. BTW after visiting Konark, you'll forget Khajuraho ;). Thanks for the post. Online Bus Booking Get the Best Online Bus Tickets Reservation Services with Ticketgoose. Your Online Bus Booking is just a click away!